Internet Marketing professionals are big fans of the phrase “content is king.” This means that high quality content created for a specific audience does a better job of ranking in search engines and being shared on social networks than content that is intentionally created just for marketing purposes. One awesome advantage that artists have over most businesses, is that your content is already great. You don’t have to go hire someone to create something great to show off on your website, because that’s what you do! With a few tweaks and some hustle, you can make your art spread around the Internet like wildfire. In my Search Engine Optimization for Artists blog post, I outline the technical things that you need to do in order to give your art a chance at being found by search engines. In this post, I’m going to take it one step further, and show you how to promote your art once you have it positioned correctly. Watch this video to understand the minimum things you should be doing to make your art better optimized for the web. Many artists are so afraid of putting their art online, so afraid of people stealing it, that the make it really hard for people to share their work. This is just the opposite of what you want to do. The root of the Internet’s power is in sharing information – whether its hilarious cat videos or the latest awesome sculpture. The idea is to take away any obstacles to people looking at your art, and to sharing these pieces of art. This starts with the way that you organize your image galleries on your website. Here’s a good example of how Melissa Dinwiddie has organized her prints for sale (click to enlarge). 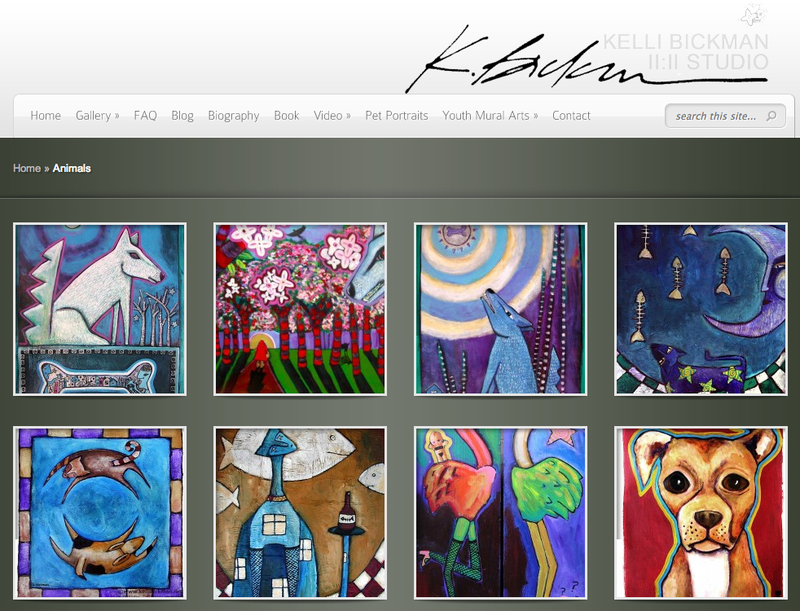 Kelli opts for showing off more of her art up front, in smaller thumbnails, and putting the prices on the main page. Either way, Melissa and Kelli have both done a good job of giving each piece of art its own page and a description. This is key to making each piece of art sharable. Without its own page, there is no context for the art when it is shared. If you want to ensure that people share your work, I would suggest you add social sharing buttons on your individual art pages, like Art.com’s listing of Natasha Wescoat’s work. One of the most important things that I do is have a close cadre of people who are willing to share the things that I post online. It’s not every post, but when I have something that I consider especially good, I will reach out to them and ask them to share it on social media or with their email newsletter audience. I do the same thing for them. Generally, most people will jump at the chance. Just remember, it’s not a direct “I do this for you, you do this for me” kind of relationship. You’re building up good will so that people are more likely to share your work in the near future. Triberr.com is an interesting way to form a tight knit community for sharing. 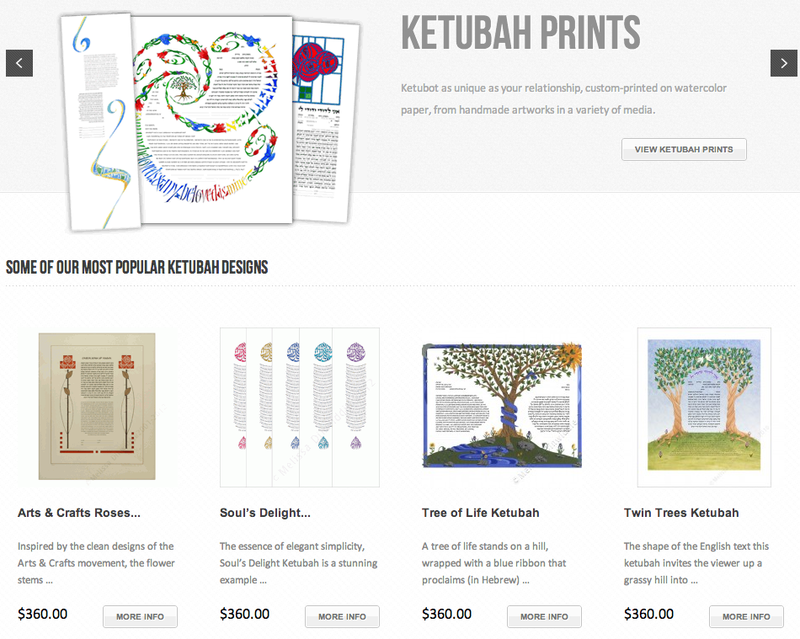 Do what crafters do – Etsy collections are all the rage. Share your favorite art with your audience on a regular basis. People you highlight will be flattered and notice you back. This is highly effective in the handcrafted items niche – more artists should do this! Over the last few blog posts, we have highlighted some very effective content marketing techniques. Before you can really take advantage of blogging and social media, you need to have the basic elements of a good website in place. 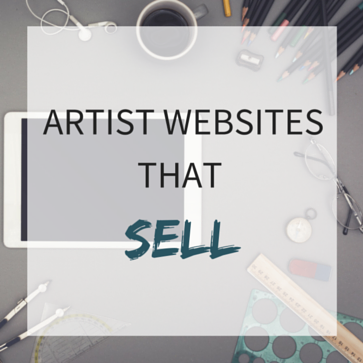 The Artist Websites That Sell course was designed specifically to make sure you get those elements in place. If you’d like more information about this course, click here to check it out. Liked the post. As far as content, some people don’t know how to tell their story. I create a lot of art but I am not sure there is a story behind it, I like to create. Maybe I need a beginners’ course on story telling. I’ll get back to you. As someone with a basic journalism background I have learned that there is a story behind everything. In fact, you just told a brief story in your comment! A good thing to remember is that a story does not have to be long and elaborate. These days with so much media being thrown at us from every angle, people’s attention spans online can be quite short. That is something you can use to your advantage if you feel you are not very skilled at storytelling. Keep it short and simple. You may consider doing some research online into how to write “cutlines,” otherwise known as photo captions. While you may not be using this exact formula in writing a description of your art, it will certainly give you some good tips into how to write short, consise attention-grabbing blurbs about your art and the story behind it. Whenever you put anything online for the public to see there will always be that little (or gogantic) sense of self doubt as to whether your words, story or product is good enough. That means being vunerable and it is something we constantly need to press past if we are going to have any sucess at all. But much like art itself, everything and everybody has a story behind it. Just think… someone can make a still life painting, drawing etc. of a boring old shoe and raise it to the level of fine art that has a profound impact on its audience, even if only one person out of a million. Just keep it simple and honest, and be yourself. In the end, that’s what resonates with others the most. Kristine, thanks so much for replying to Sharon! Your advice are very valuable for me as well! I agree with all your points here, As an artist myself I find that I spend more than 50% of my time building social connections with people all over the net. The modern online artist these days is the best agent for their own work. I enjoy the freedom, but it can be a steep learning curve for the artist who only wants to paint. Well I definately feel more comfortable with sharing my images on facebook and other places after watching this video. Being descriptive about my art can be so hard though! There is some really great content here. I liked your little video about optimizing your pictures and sharing them. As far as your course, I would love to see/read information on how Illustrators that are just starting online should spend their time and have that broken down into small steps. If the course enabled them to make a living online while still having time for the thing they love, illustrating. I think starving artist from all over would want in on that. My Husband Leo and I are following all your emails for guidance on how to run our Art business on line. It has been wonderful so far, we are now putting a new website together through wordpress. I cant seem to find the email you sent me on how to do this on wordpress, can you forward this through to me again please. Hi Jo, you mean How to Build an Artist Website with WordPress in 10 Minutes? It’s a great article. Actually I was one of those artists who are afraid to share their drawings. My friends kept saying that my staff is great and I should post it somewhere. So on one of those days I gave up and posted couple of drawings on http://www.deviantart.com and http://www.bitpine.com. Guess what I got some followers and someone actually bought one of my drawings. So don’t be scared guys ….just do it!!! !